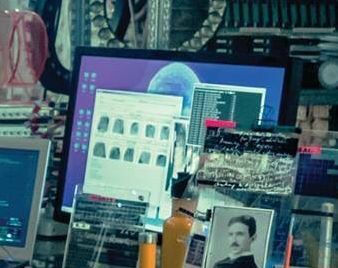 There's a new photo of the "Flash Cave" from the upcoming Justice League movie! 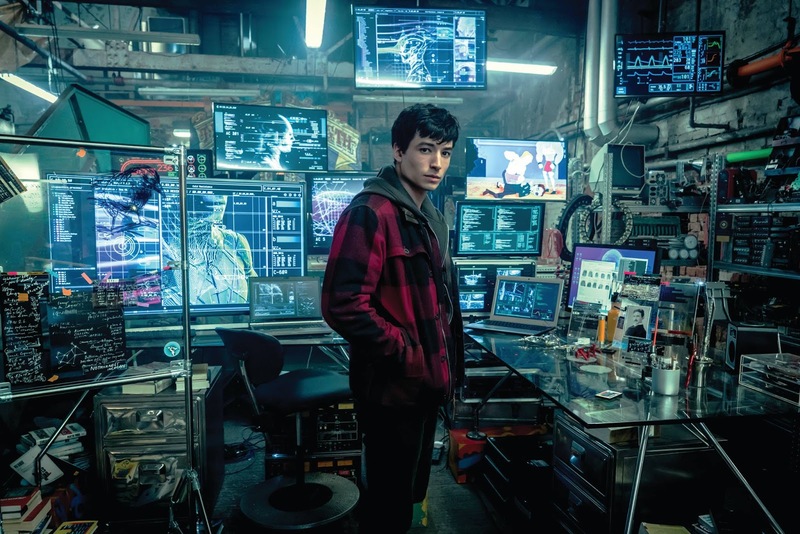 Warner Bros released the pic and it shows Ezra Miller as Barry Allen in his lair working on various projects. 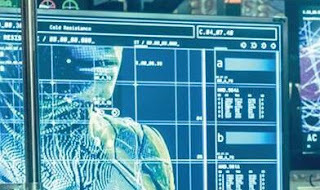 The upcoming superhero movie unites Batman, Wonder Woman, The Flash, Superman, and Cyborg against the villainous Stephenwolf. Here are some hidden details, or Easter Eggs, to look for in the pic. There's a photo of Nikola Tesla on his work table. He was a Serbian-American inventor, electrical engineer, and futurist. He's best known for his work on alternating current (AC) electricity. It makes sense Barry would be studying his work on controlling and harnessing energy. On the glass is a drawing of a raven. 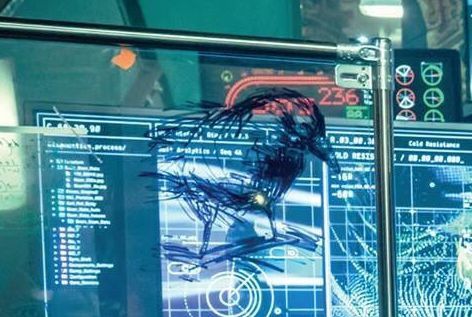 It could be a reference to birds and aerodynamics, but it may also be a nod to the superhero Raven the daughter of Trigon. On the screen behind him is a screenshot from the Rick and Morty season one episode "Something Ricked This Way Comes". The plot of the episode is that Summer gets a job working at a shop run by the devil. The scene in the monitor is when Summer and Rick build muscle mass and beat up the devil in revenge. This could be a reference to fighting Steppenwolf who Aquaman describes as "devil". Also, the show frequently deals with themes of time travel and multiple dimensions. 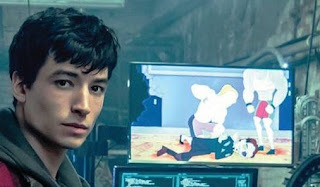 Barry Allen is a police forensic scientist for the CCPD. The screen shows a full set of fingerprints. Apparently, he takes his work home with him. That or he's working on his mother's murder case. There are a lot of designs and analysis for his suit, but in the corner, it says "Cold Resistance". 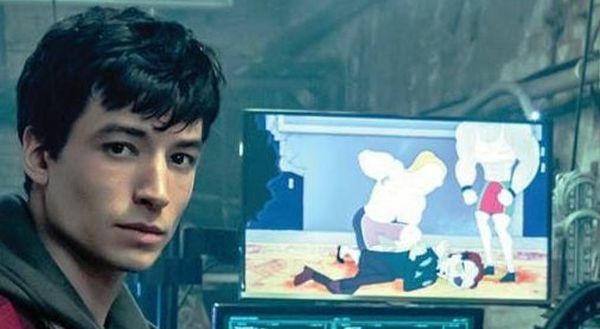 This is a reference to one of the Flash's greatest villains Captain Cold who uses a freeze gun. What do you think of the pic? Did you notice anything we missed? I'm sure there's even more. Nothing is present without meaning. Now if only they could get a Flash movie together. I honestly don't know what their difficulty is with that.